“Is there really One Boston? 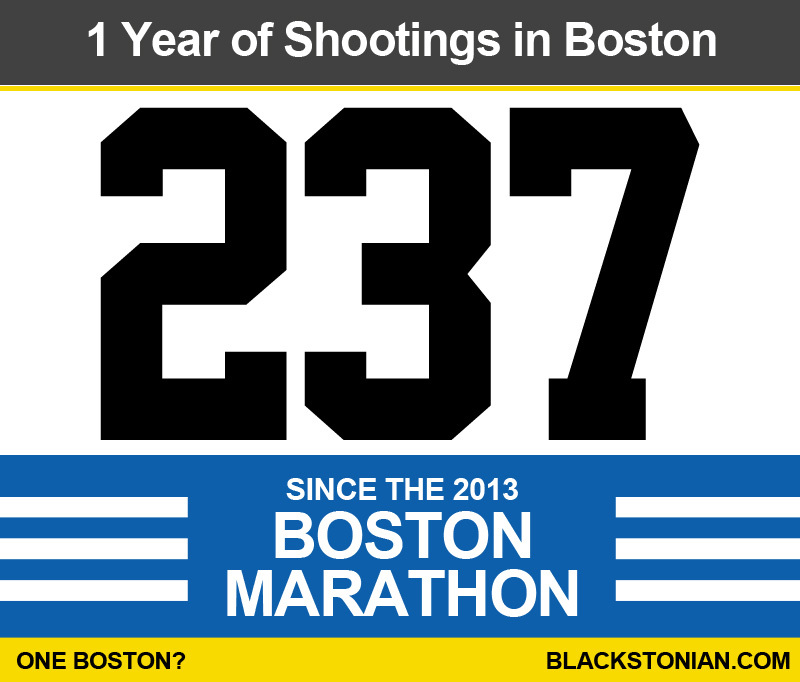 Boston Strong? Is the violence that occurs on a day-to-day basis acceptable? Is the reaction and response to violence different depending on where it happens or whom it happens to? Have we become desensitized to ‘regular violence’?” These are the questions the Blackstonian newspaper raises in a report detailing the 237 shootings in Boston since the Marathon bombings. As we, at IISC, focus more on cities and the complexities that emerge because of the demographic differences of their inhabitants, it’s important to reflect on the Boston Marathon bombings through this lens. As the city recovers from the extraordinary violence of the 2013 Marathon bombing and rightfully honors those who died, were injured, and involved in the response to the situation, let’s not forget the hundreds who suffer from the trauma of that day-to-day “regular violence.” More importantly let’s focus the kind of attention, energy, and collective compassion on creating the kind of city where the would-be perpetrators of violence and would-be victims have much better things to do with their lives. What would it take to harness the outpouring over One Boston to truly create a city where every person had the chance to grow into their fullest potential and contribute to a flourishing community? See the entire report here on blackstonian.com.